Dr. Anita Jose, Hood College, helped survey participants of the EEOC mediation program regarding their opinions of the performance of the program. She is an associate professor of management, and the Director of the MBA Program at Hood College. Her research interests include organizational strategy, international management, and business ethics/corporate social responsibility. Her articles have appeared in such publications as the Journal of Business Ethics, Southern Law Journal, Business Intelligence, and Advances in Industrial Relations Research. She is a member of several professional associations and regularly presents research papers at national and international management conferences. She is a research fellow at the Center for Conflict Resolution. She has consulted with organizations such as the California Department of Fair Housing and Employment. She received her doctorate from the University of North Texas and her MBA and MMGT from the University of Dallas. The largest workplace mediation program is the Equal Employment Opportunity Commission's (EEOC) voluntary mediation program. 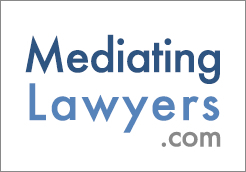 For example, during the first twelve months of the expanded mediation program (4/1/99 through 3/31/00), the EEOC conducted over 11,700 mediations and more than 7,500 charges were resolved through the program. Is the program viable? How is it perceived by the participants?